A couple of months ago, a bunch of co-workers came back from having lunch at Haus and told me they’d just had the best fries ever. That’s right -- ever. 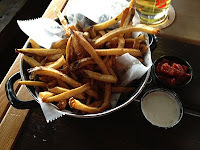 Clearly, I had to try these fries for myself, and while I don’t know if they’re the best, they are excellent. 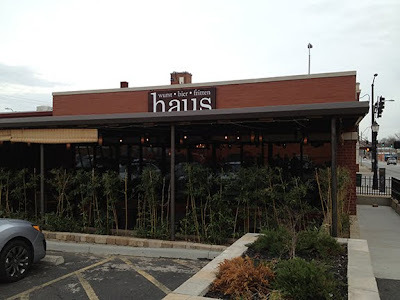 Haus somehow pulls off a crispy exterior with a chewy center, the result of a two-stage frying method involving a brine and possibly dark wizardry. Lunch Blog KC is the mostly lowbrow yet sometimes inadvertently fancy culinary adventures of Robert Bishop and Matt Shaw. We’re two advertising guys from Kansas City, and we like wings, barbecue, burgers, wings, tacos, wings, snacks, wings, wings and wings. Like Lunch Blog on Facebook!